Negeri Sembilan Menteri Besar Aminuddin Harun who underwent heart surgery recently has been readmitted to the Serdang Hospital after being diagnosed with excessive phlegm. According to a source close to him, Aminuddin was readmitted to hospital on Tuesday night for doctor’s observation. “He is healthy except he has too much phlegm. He initially went to the Tuanku Jaafar Hospital in Seremban on Tuesday night (Nov 6) but he was then advised to seek treatment at the Serdang Hospital in Selangor. “The doctor advised the Menteri Besar to have a lot of rest. It could be due to many visitors came to visit him after he was allowed to return home on Nov 5. He probably didn’t get enough rest then,” said the source when contacted in Seremban today. 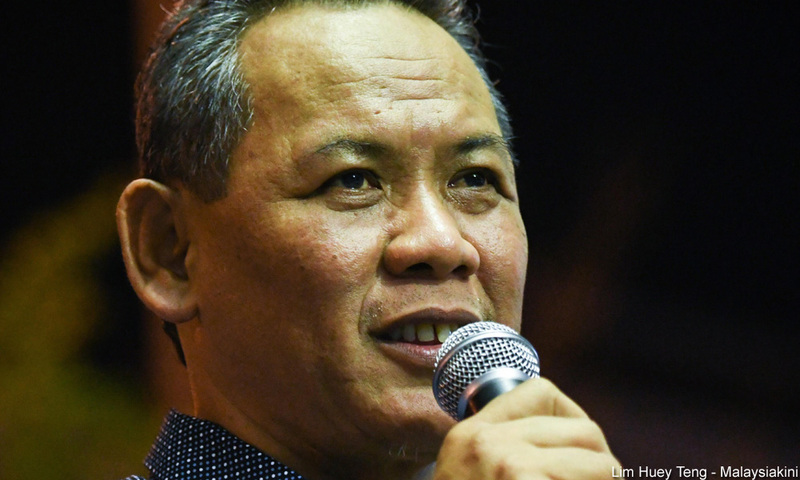 On Oct 29, Aminuddin, who is also chairman of both state Pakatan Harapan and state PKR, was admitted to the Serdang Hospital to undergo heart surgery. The source also refuted the claims by certain parties that Aminudin had been readmitted to the Serdang Hospital due to bacterial infections. “Please pray for his speedy recovery,” the source said.